An important aspect that is necessary to let your customers have a pleasant stay in your hotel rooms is the way you design the storage of it. There will be customers who have come on a mini-break to unwind for a few days and there will be customers traveling for a business trip, stopping just one night. Based on this the storage requirements of customers can be different. But it is essential that they are provided with all the facilities inside the hotel room. 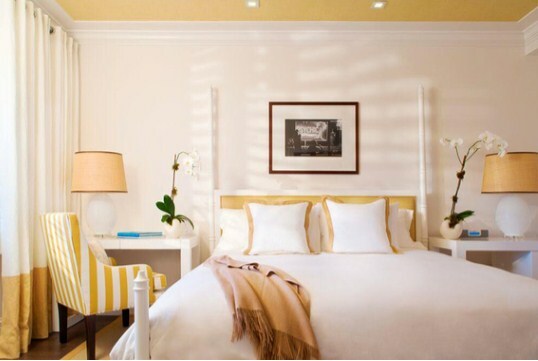 This can get tricky at times and hence we share with you some ways of optimizing the storage space in hotel rooms. One way to maximize storage in a single room is to make use of the area under the bed. 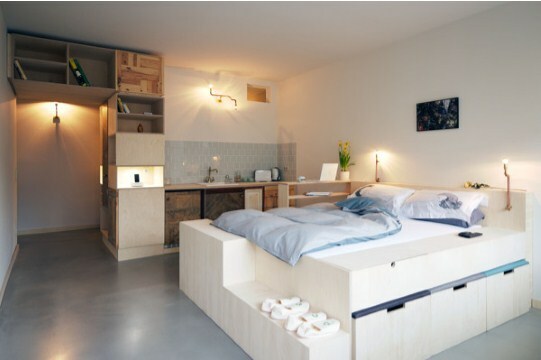 As shown in the picture, storage shelves can be designed under the bed where people can keep their suitcases and other luggage. In this picture, the bed has been uniquely designed in a way where you can place your footwear as well. 2. Swap the nightstand for a desk. Try to have furniture storage options in Dubai that have a dual purpose. For instance, the nightstand on either side of the bed can be used as a desk during the day. Wall mounted night lamps and TVs are a great way to reduce the unnecessary storage space. 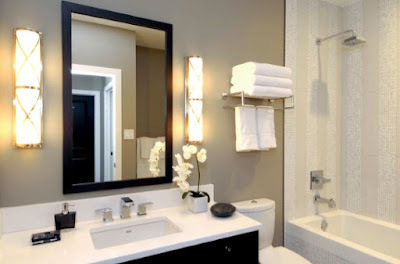 Bathrooms inside hotel rooms should be well equipped and there needs to be adequate storage for the same. Go for smart ways to store all the toiletries, towels and napkins. You can adopt a bevy of space-saving features such as an under-the-counter shelf for towels and hanging baskets for soaps and dispensers. New Year is here and getting organized is at the top of many people’s New Year’s resolutions. 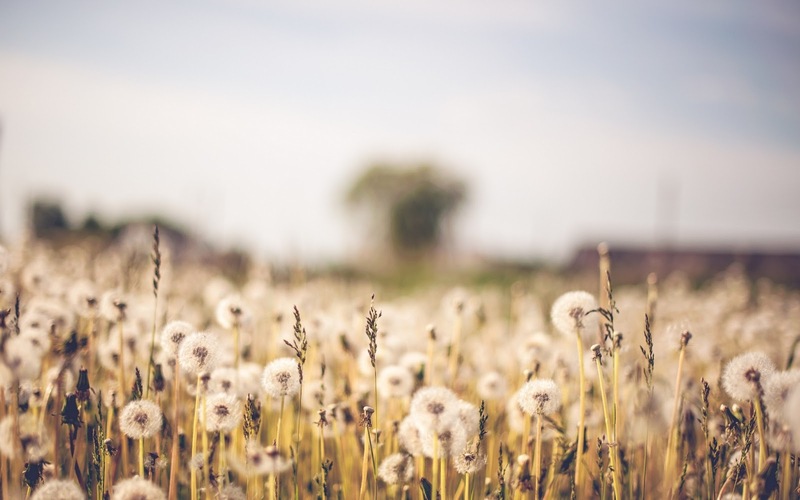 Living in an environment that is neat and tidy makes things easier not just for you but also for the ones visiting your house. The ugly sight of overflowing drawers and clutter around the house can often leave you frazzled. Take control of the clutter this New Year by adopting these innovative methods to organize all your stuff. 1. 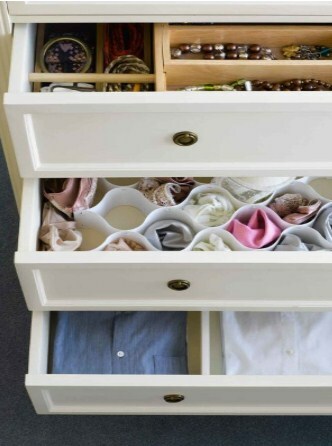 Have separate sections for your items in your wardrobe. Have separate sections for your shirts, trousers and inner wear. Segregate the formals from your casual clothes. Place boxes of different sizes to arrange all your accessories. Use good self storage solutions in Dubai to organize your wardrobe. 2. Be practical while arranging the items. Whether it is a book shelf or your shoe rack, be practical while arranging all the items. For example, the shoes that you are going to wear often should be placed in the front and the ones that you aren’t going to use much can be placed behind. 3. Make a habit to install hooks. Installing hooks in the room is a good way to avoid throwing things around. Your clothes, belts and sling bags can be hung on the hooks. Hangers can be used to arrange your shirts, blazers and even dresses. Closets tend to get disorganized quite quickly as and when you take out your clothes so make sure you arrange it once in a month. The least you can do is to stop being a lazy person and avoid piling up things around. Keep all your stuff in its place and you are bound to feel better.